Uses generic components and provides local support at affordable prices. GLOBUS will launch a range of G Tec processing equipment for meat, smallgoods, fish and convenience foods at FoodPro 2005. 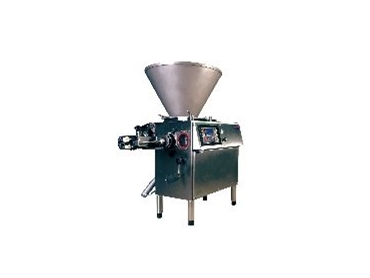 The company will display a small thermal processing chamber designed for cooking and smoking as well as the G Tec vacuum filling, linking and portioning machine. The G Tec range uses generic components and provides local support at affordable prices. Form shrink packaging combining visual impact and abuse resistance will also be on display. This allows efficient and economical production with fully-automatic vacuum packaging. The system uses less material than shrink bags and PVC trays. Globus will be at stand number 4001.